It is with heavy hearts we announce the passing of Owen on February 11, 2014 at the age of 56 years. He will be forever loved and remembered by his son, Josh (Sabrina), his daughter Krystyn (Dallas) Smith; 3 grandchildren, Wyatt and Tay Jones, and Vayda Smith; father Owen Jones, sister Debbie Jones, extended family and many friends. He was predeceased by his mother Dora Jones. 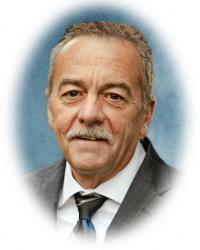 A visitation will be held at Foster and McGarvey Funeral Home, 10011-114 Street, Edmonton, on Tuesday, February 18, 2014 from 7:00 – 9:00 pm. A Funeral Service will be held on Wednesday, February 19, 2014 at 12:00 pm, at Kirk United Church, 13535-122 Avenue, Edmonton. In lieu of flowers, donations may be made in Owen’s memory to the Stollery Children’s Hospital Foundation, 1502 College Plaza, 8215 – 112 Street, Edmonton, AB, T6G 2C8.